Mr. Sandell was born in 1959 and earned his “Master of Architecture and Engineering” degree from the Royal Institute of Technology in 1985. He founded sandellsandberg in 1995 with Ulf Sandberg and Joakim Uebel – a company with 60 employees, integrating architecture, design and advertising. Sandell has designed several acclaimed interiors, including the Museum of Modern Art and the Swedish Museum of Architecture in Stockholm and several advertising agencies. He is currently designing homes for the future: Gåshaga Brygga, 41 row houses at Lidingö outside Stockholm. As a furniture designer, Thomas Sandell has collaborated with several Swedish and international furniture producers, such as: Artek, Asplund, B e B Italia, Cappellini, CBI, Gärsnäs, IKEA of Sweden, Källemo, Mobileffe, R.O.O.M., Rydéns, Tibrokök and Tronconi. 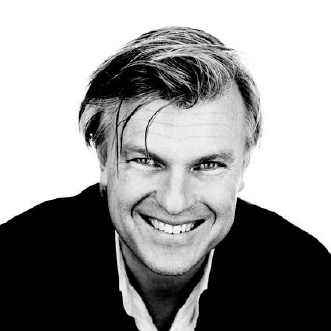 Sandell is the president of SAR, National Association of Swedish Architects and has received numerous design awards.